After a stint in the Peace Corps in Swaziland, Jim joined VOA in 1983 as a reporter and anchor on English broadcasts to Africa. He served as East Africa correspondent, then covered Congress in the early 1990’s. 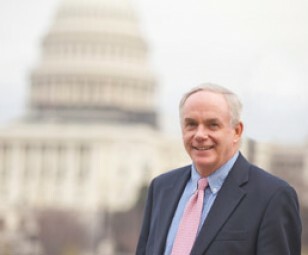 Since 1995, Jim has served as VOA national correspondent responsible for coverage of U.S. politics, elections, the Supreme Court and Justice Department. Jim has been involved in VOA’s election coverage since the 1984 presidential campaign and has co-anchored live VOA broadcasts of numerous national political conventions, candidate debates and election night coverage.